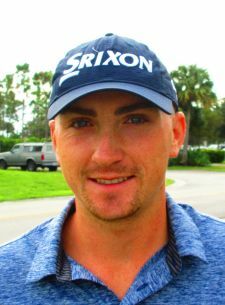 MIAMI, Fla. – Evan Russell of Essex, VT, fired a closing round of 65 on Tuesday to overtake the first round leader and win for the second time on the Minor League Golf Tour. At 134, Russell won by four strokes over Brian Fister of Lexington, KY, who closed with 72-138. Fister led Russell 66-69 after first round play at Melreese Country Club. Russell had two birdies Monday, eight birdies and a pair of bogeys Tuesday, earning $1,495 from the $3,700 purse. Fister, runnerup among 13 starters, made six birdies and a bogey the first round, three and four, respectively, on Tuesday. He collected $960. Thomas Henderson won the 2nd Day Shootout worth $150 with a score of 71. There were 4 skins out on day 2. Click on any $ link under the skins/total column to view the skins results. A big thank you to Melreese Country Club for hosting this event. MIAMI, Fla. - Brian Fister from Lexington, KY overcame a bogey on the 3rd hole with 6 birdies for an opening round 66 at Melreese Country Club. Evan Russell will be chasing Fister from 3 shots behind during the final round. There were 7 skins out on day 1. Click on any $ link under the skins/total column to view the skins results. There is an optional $50 2nd day shootout for those players at 77 and higher after day 1. 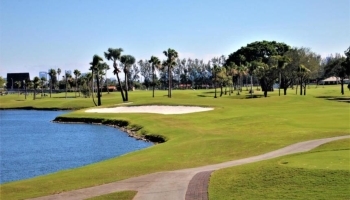 You must register online before the first tee time Tuesday morning.